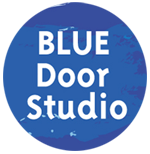 All payments are made via Paypal (bluedoorartstudio.com/make-a-payment/), a check in the mail, or you can visit the studio with cash, a check, or credit card. Copyright © 2019 Blue Door Studio LLC. All rights reserved.